Why Should You Consider LUMO? 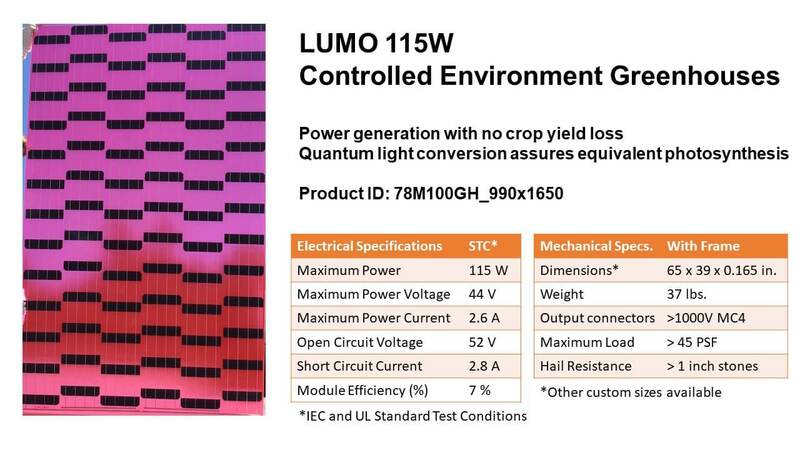 Soliculture’s LUMO technology combines efficient greenhouse growing with solar power energy production. Our solar panels offset expensive energy costs and are customizable to any roof configuration and glass size. We help you get the best possible solution by considering your unique crop production before designing our energy products for your greenhouse. 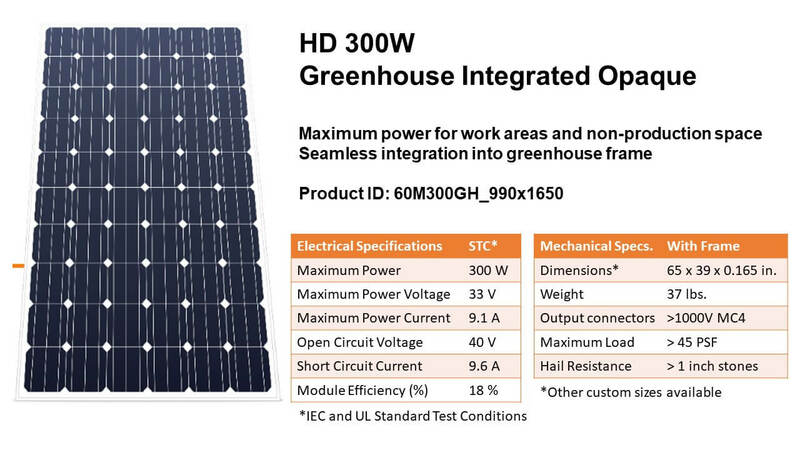 Generate Energy for Your Greenhouse With or Without Grid Dependency. 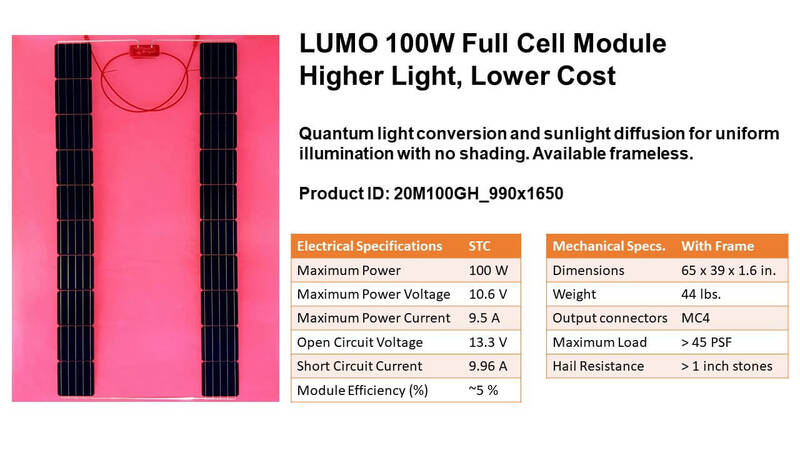 Get a Custom LUMO Quote from Our Technical Design Team. Monitor Solar Energy Production with User-friendly, Online Software. Avoid Spending Capital on LUMO Solar Panels by Taking Advantage of Solar Incentives. Make a Contribution to The Environment by Reducing the Carbon Footprint of Crop Production.